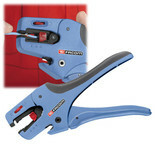 A fast and effective tool for tradesmen and DIY users alike, the CHT769 Automatic Wire Stripper is easy to use and suitable for use with wire of varying sizes. 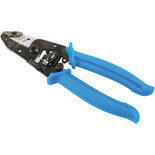 A great addition to any tool kit. 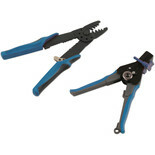 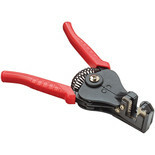 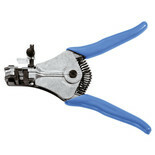 These Draper Automatic Wire Strippers are ideal for Professional or DIY use. 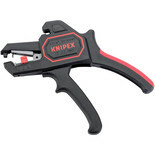 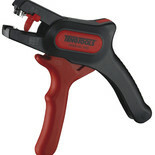 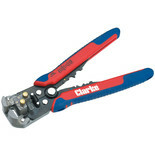 They offer single motion stripping of wires/insulation and the crimping of insulated and non-insulated terminals. 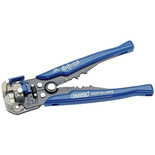 Hardened steel. 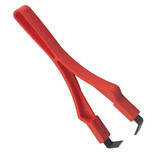 Plastic finger-pads for comfortable use. 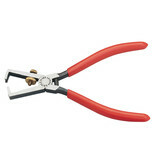 Burnished blades. 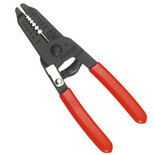 135mm long x 10mm wide. 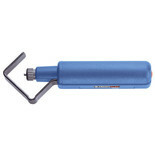 : 40 g.
SWINGO - The All-Purpose Stripper! 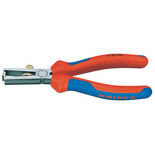 One tool for cutting and stripping wires from 0.02 to 10 mm².